For designers of medical devices, the FDA and ISO requirements are extremely stringent. Designers and researchers feel pressure from management to quickly develop new devices, while they are simultaneously hampered by strict guidelines. The Six Sigma philosophy has solved this dichotomous paradigm for organizations in other fields, and seeks to do the same for the medical devices field. 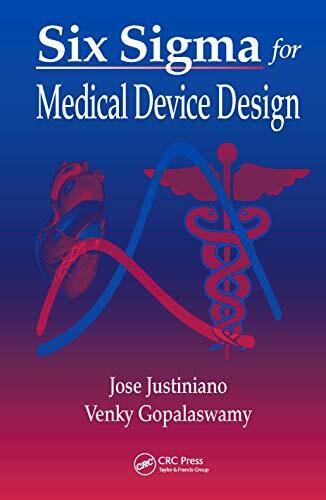 Six Sigma for Medical Device Design is the first book to approach the subject for use in the medical device field. Authored by experienced professionals, it provides a how-to guide to implementing such a program while dispelling commonly held myths regarding deployment and adoption. This volume also links the philosophy with the FDA's Design Control regulation, useful for companies that must be compliant as well as for those in the process of implementing a quality system for design control. For management wishing to launch innovative medical devices as quickly as possible, this text establishes a way to align all levels of the organization to produce a high level of development that is both timely and compliant. It is also an excellent tool for technical and scientific personnel to understand the realities of business and markets and to optimize the product realization process.